It seems that in recent years the number of vehicle segments has exploded. With more options now than ever before, drivers are finding it easier to find the perfect vehicle to fit their unique lifestyle. Multiple segments exist in the industry, including subsets of traditional categories. For instance, cars are now offered as minicars, subcompacts, compacts, sedans, coupes… the list continues on and on. While some of these are newly offered by your Chevy dealers, one of them has a long history that most people don’t know about. The subcompact and minicar may be a newer option for drivers looking to save money on gas, but the compact segment has been around for much longer than most of us realize. The first car to fit the standard as a compact car, was the Austin Bantam back in 1930. The name “compact” had not yet been coined for this vehicle, but it was the smallest car to be offered on the U.S. market at that point in time. Since the Austin Bantam first appeared on American roadways, other automotive brands played around with the compact car concept. Chevy produced the Cadet prototype in 1947, which was considered at the time to be an economy car. Nash Motors, an American automotive brand based in Wisconsin, until it dissolved in 1954, introduced its small Nash Rambler for the 1950 model year. The Rambler was thought to define its small car segment, and shortly after its introduction, the term “compact” was coined. Just 35 years later in 1985, the EPA classified eight cars as compact, including the Chevrolet Cavalier. Today, automotive brands are offering more of these economical cars than ever before. With recent narratives aimed at reducing carbon footprint and fuel consumption, it is no wonder that the compact car segment has grown so quickly – and Chevrolet is conquering the compacts in a way no other brand has. Chevrolet is one of the most successful automotive brands in history, and getting to that point was no accident. The bowtie brand has paid close attention to the wants and needs of American drivers, and has continuously delivered award winning vehicles that precisely fit the bill. Not only does Chevy offer multiple options for subcompact and compact cars, they also offer compact crossovers. Whether you prefer driving a five door hatchback, a four door sedan, or desire the spacious interior of a crossover, Chevrolet has something for everyone in the compact vehicle market. These vehicles may not be considered premium, and they may not have autopilot features or Italian leather upholstery – but we don’t see anyone else wearing bowties to this party. Chevrolet compacts are taking the segment by storm, and with so much to offer at such a small price point, they are selling as fast as the brand can make them. Let’s check out some of what Chevrolet is offering for the latest model year, and discover how you can get behind the wheel of one right here at DePaula Chevy. Price – Starting at just $12,660, the Spark was just rated the “Highest Ranked City Car in Initial Quality,” by J.D. Power. That means you will save money not only when you sign, but also when you drive away. Fuel Economy: With up to 41 miles per gallon on the highway, the Spark is igniting a passion within drivers to hit the open road, without fear of rising gas prices. Standard Features: For a small car with a small price tag, the Spark certainly isn’t making concessions when it comes to standard features. With a 7-inch touchscreen display, an auxiliary power outlet, and 4G LTE Wi-Fi hotspot, these standard features might be enough to convince truck drivers to switch over to this segment. Price – Starting at $14,345, the Sonic is a great value for this segment. Fuel Economy – The EPA estimates that the Sonic can grab up to 40 miles per gallon on the highway, which isn’t a bad tradeoff for the extra passenger space. 40 MPG is nothing to scoff at, and drivers appreciate the fuel savings years after initial ownership. Standard Features – Steering wheel-mounted controls, OnStar for six months, and power doors and windows are just a few of this model’s included amenities. With such a low starting price point, drivers can easily add on to the base model without emptying out their wallets. 2016 Chevy Cruze: While it may not be as small as the Sonic and Spark, the Cruze is certainly holding its weight in the compact car segment. The classic sedan styling gives this model the look and feel of a mid-size, with the fuel efficiency and price of a compact. Price – Drivers who choose the base model of the newest Cruze can expect to pay right around $16,000. A few thousand more than the Sonic’s starting MSRP, the Cruze offers drivers a unique take on this segment. Fuel Economy – The 2016 Cruze gets up to 42 miles per gallon, offering the highest MPG rating of these three compacts. The standard turbo engine helps achieve such impressive numbers, as well as keep the sedan’s performance at a peak level. 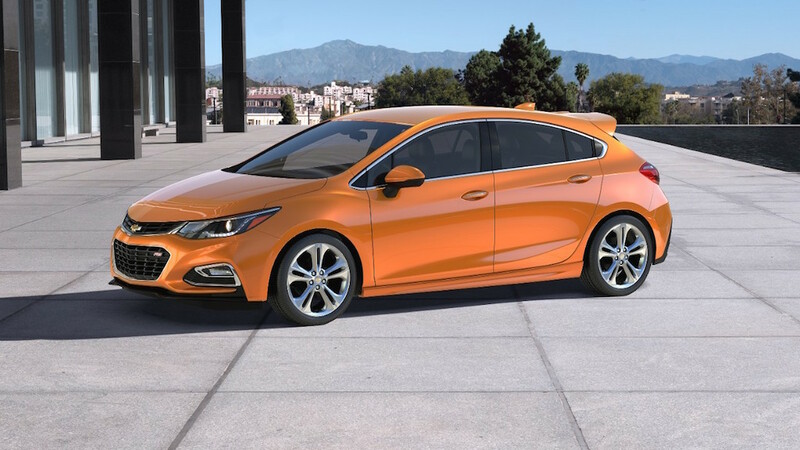 Standard Features – The Cruze lacks some of the bells and whistles that come standard on the Sonic and Spark, but it still manages to offer a standard rear vision camera, 4G LTE built-in Wi-Fi connectivity, and OnStar Guidance for six months. 2016 Chevy Trax: The crossover of Chevy’s compact lineup, the Trax offers a more unique option for drivers who require the economy of a compact, but desire the feel of a crossover. 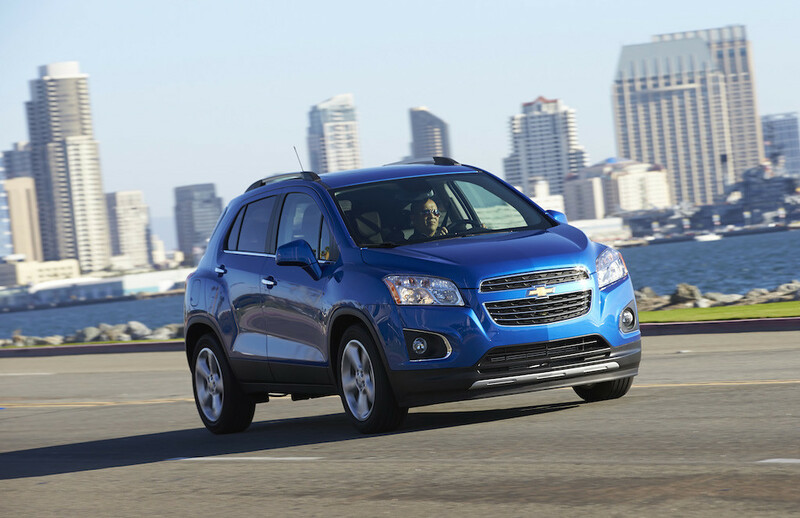 Price – Starting at $20,300, the Trax comes in at the highest price point of the compacts, but it also offers the most interior room and utility within the segment. 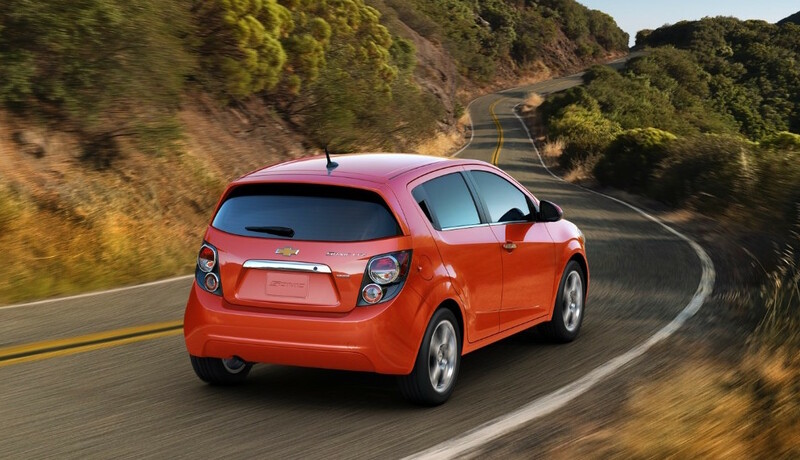 Fuel Economy – The Trax gets an EPA-estimated 34 miles per gallon on the highway. While it may seem much lower than the other three compacts, it is still a great rating for a vehicle of its size. Standard Features – The Trax comes loaded with awesome standard features, including a 7-inch touchscreen with MyLink system, a rear vision camera, remote keyless entry, power windows and doors, and steering wheel-mounted audio and phone controls. DePaula Chevrolet has all of the compact Chevy vehicles in stock and ready to take for a test drive. Come and check out the fanciest crossovers on the block, and see for yourself how Chevrolet is conquering this segment.